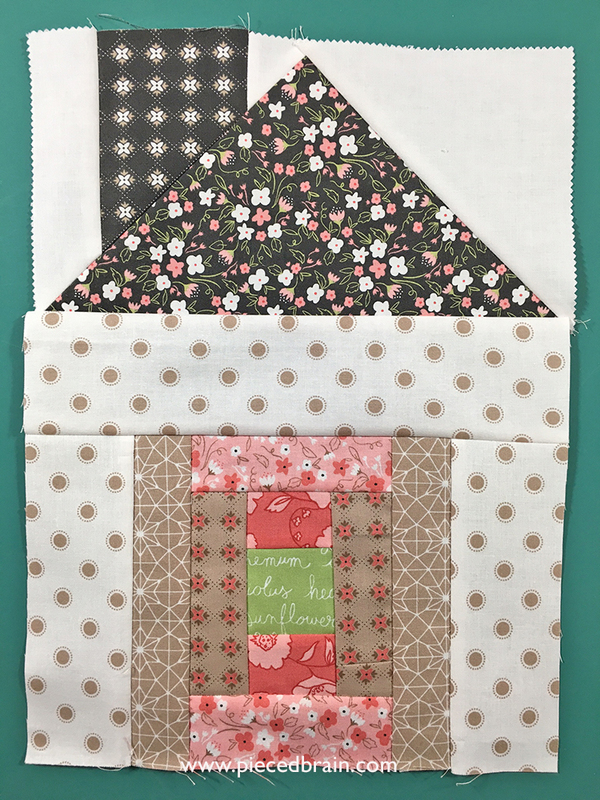 Yesterday, my girlfriends and I exchanged our last blocks for the quilts we are working on together. 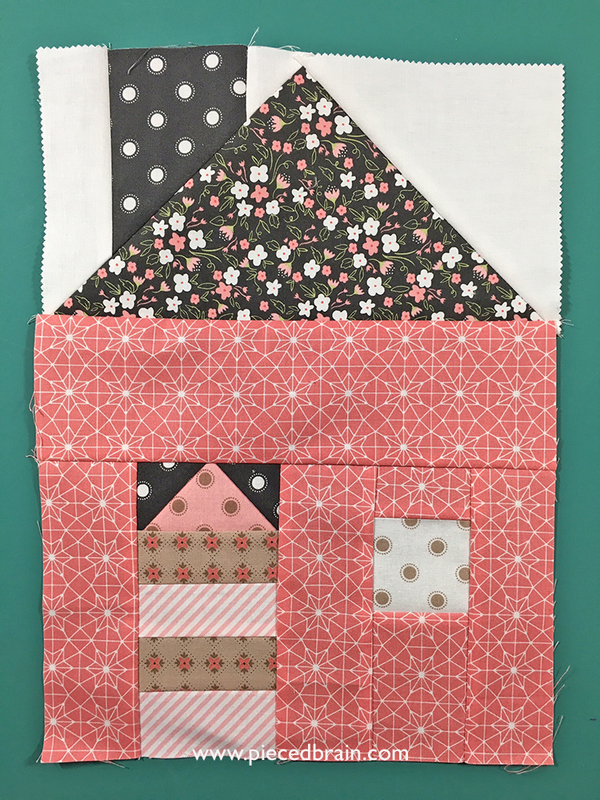 We have each made 8 house blocks for a total of 24 house blocks for our Dwell Quilt with Moda Fabrics (see my other blocks here). Above is my block # 6 and below is block # 7, putting scraps to good use! 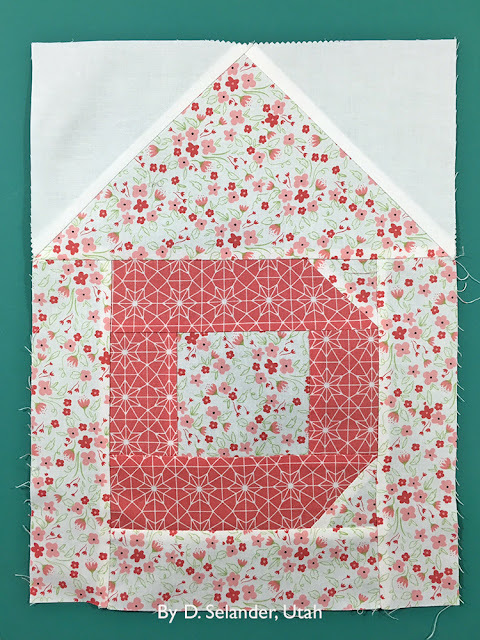 What a great idea to feature the first letter of our names on one of the blocks! I also like that she used the same fabric for the roof and front of the house. 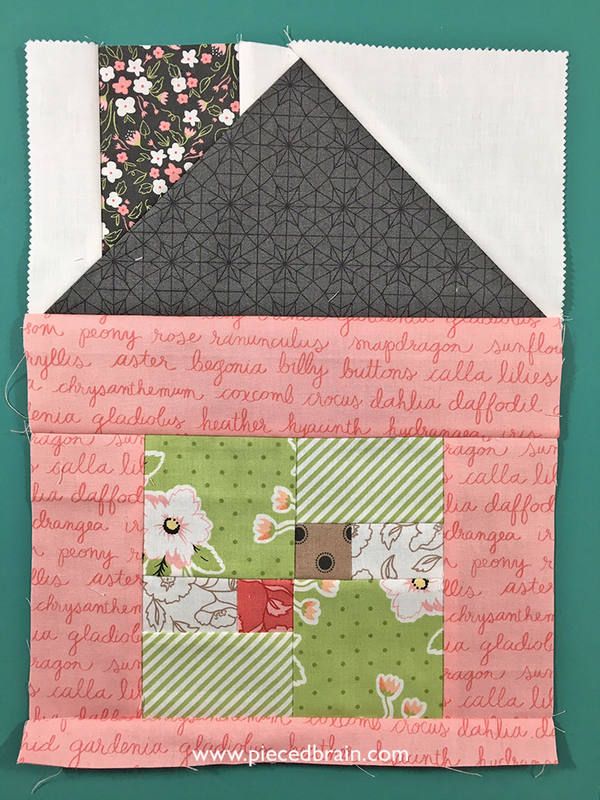 How about this block? That embroidery is the best (and with buttons to boot!). 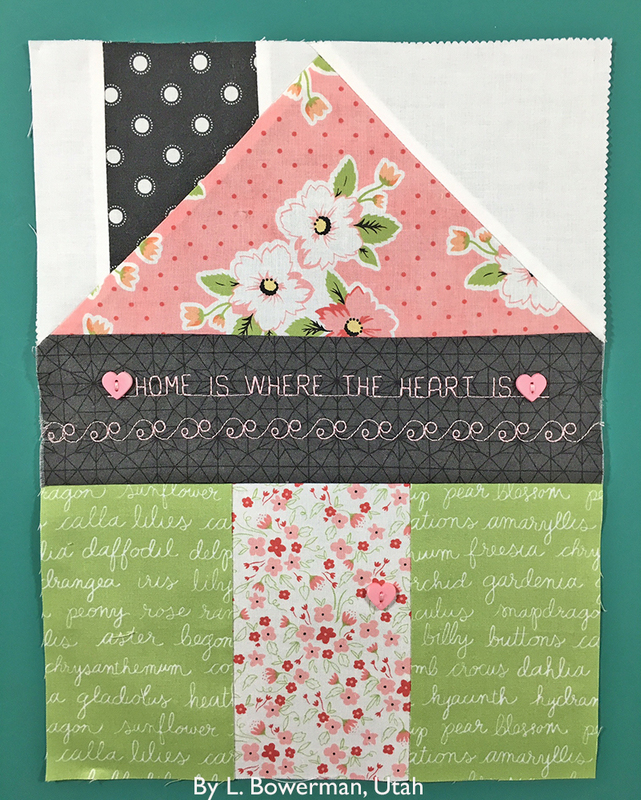 Our small group will take a break for the summer, but I can't wait for our next joint project. It may have something to do with the Fall. Stay tuned! 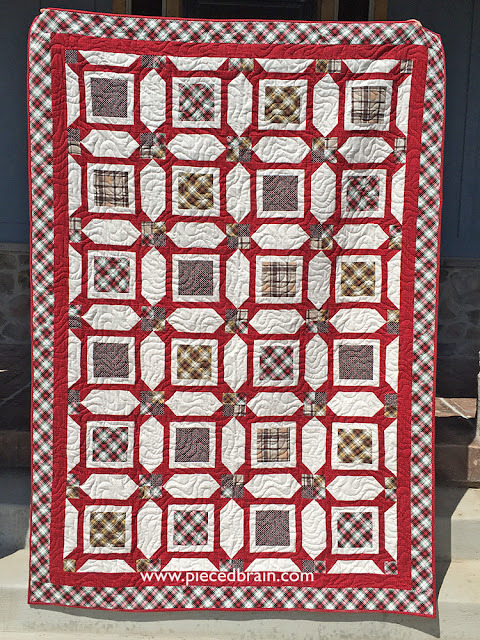 For those of you who are at Quilt Market in St. Louis, be sure to stop by the Timeless Treasures both to see my Hunter's Den quilt in person! Melissa from Sew Shabby Quilting did a great job quilting it. 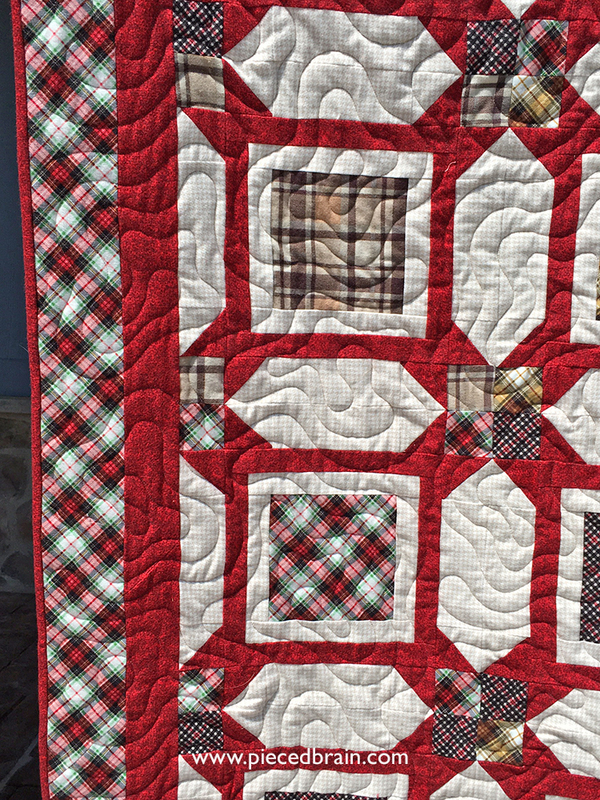 Awww... those gorgeous flannels! 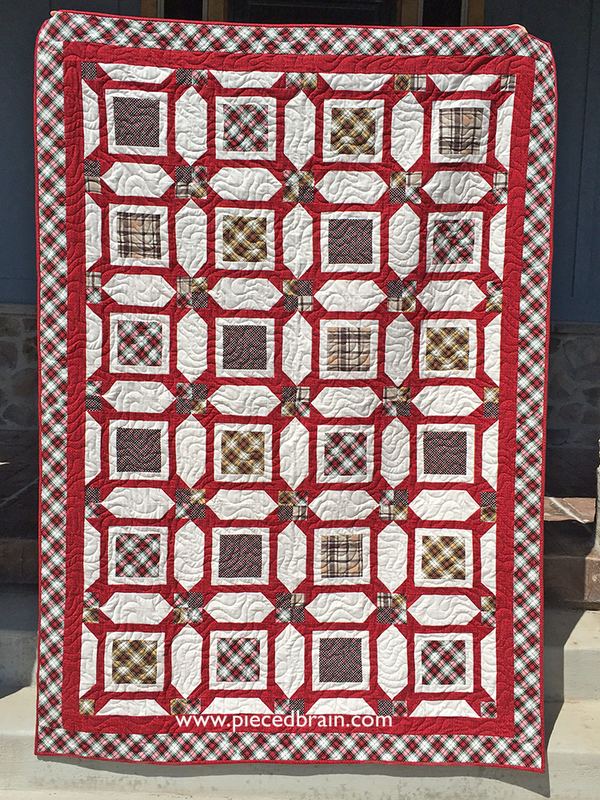 Don't forget that the free pattern for this quilt can be downloaded from the Timeless Treasures website!